Boral is the most recognized stone veneer brand in the industry. For five decades, Cultured Stone® by Boral® has created a reputation for unmatched quality, authenticity, and design capability. They routinely improve their manufacturing process and perfect their material composition. 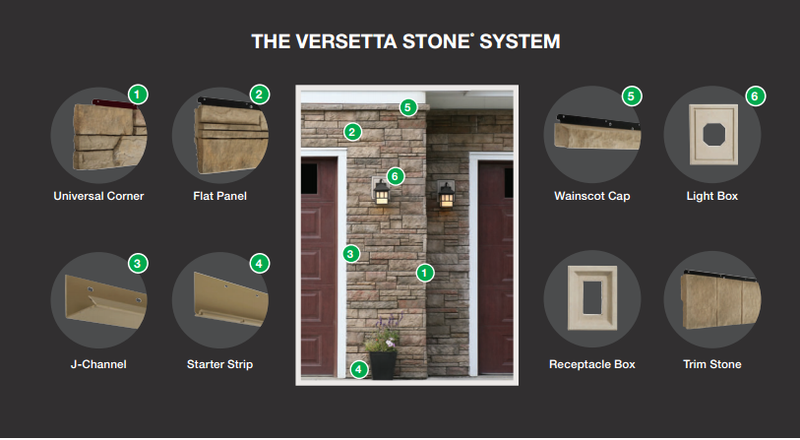 Boral’s newest generation of stone veneer is Versetta Stone. Versetta not only mimics the appearance and feel of natural stone, but also elevates it with cleaner stone transition and color consistency. Versetta Stone has been subjected to rigorous third-party testing. The material has met, and mostly exceeded, all quality requirements for masonry products. Versetta received impeccable test results from the two leading authorities in building product testing. The ICC developed the IBC (International Building Code). The code is intended to protect public safety and ensure adequate construction practices. ICC code and testing is used throughout the United States and its practices are mandated in both North Carolina & South Carolina. ASTM is an organization that creates and distributes technical performance standards for a variety of building materials. Around 12,575 ASTM standards have been adopted globally and are mandated in the Carolinas. Incorporating stone accents will immediately add flavor and texture to your home’s curbside appeal. However, installing quarried or natural stone to your homefront can be an incredibly expensive endeavor. It’s difficult to extract the stone. It’s difficult to transport the stone. It’s difficult to install the stone. These difficulties are passed on to the homeowner through excessively inflated pricing. The long-lasting beauty & durability of natural stone at a cost-effective price point. Mother Nature is undefeated. Eventually she will win. Versetta Stone is engineered to thrive for 50+ years while requiring virtually no maintenance. The homeowners that invest in Versetta are rewarded with a lifetime of beauty and performance. Moisture management of any masonry product is critical to the material’s success. 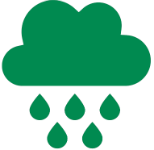 Versetta is designed to be a complete moisture management system. Built-in rain screens and integrated drainage components allow incidental water to exit the system. Because of these features, Versetta does not expand or contract on the wall. Also, it will not become ‘dusty’ due to salts emitting to the surface (also known as efflorescence). Water is the ‘wonder molecule’. For those science buffs out there, it is the only molecule on earth that expands once frozen. This can wreak havoc to any building material exposed to the elements. Versetta Stone is an effective water shedding system. It is impervious to the damages of freeze thaw cycles. The leaves the most powerful tool in mother nature’s playbook completely ineffective. Many composite materials, particularly those that are vinyl (plastic) based, expand and contract when exposed to heat. We call this Thermal Movement. Like Hardiplank, Boral products are immune to any significant thermal expansion and contraction. Whether it’s the sun’s UV rays or the grill being too close to the house, choose materials that can take the heat! The day that insects begin eating through stone is the day that we call it quits. Masonry products are impervious to insects, termites, and woodpeckers. Leave the pests in the past. Keeping loved ones safe is the number one priority of any family. When it comes to the safety of your home, using fire retardant building materials is critically important. Versetta Stone is non-combustible and has earned a Class A Fire Rating through the National Fire Protection Association (NFPA). What does this mean? Take a blowtorch to the material for days and it will never spark, ignite, or smoke. Versetta Stone is not affected by abnormally high winds like many products are. The material has a 110-mph Wind Load Rating. 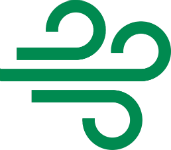 This gives Versetta a high wind tolerance that is capable of surviving hurricane winds. 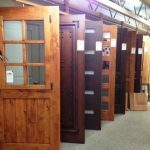 Selecting environmentally friendly building materials is important to many homeowners. As a company, Boral has a reputation within the building products industry as a producer of some of the most eco-friendly products on the market.  There is a minimum of 50% recycled material within every piece of Versetta. This was confirmed by a recent inspection by UL environment. The NAHB (National Association of Home Builders) included Versetta Stone on its endorsed list of ‘Green Products’. Save the trees! Use Versetta! Hatch Homes only recommends materials in which the manufacturer backs the quality of the product. A manufacturer does this by providing extensive warranty protection. Boral provides Versetta Stone owners with excellent coverage when compared to other warranties in the industry. Boral’s warranty takes effect for five decades! The value of the warranty depreciates at a lineal rate starting on the day of install completion. 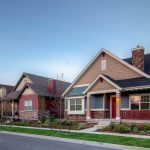 You can transfer the warranty to the next homeowner so long as the transfer date is within 15 years of the install completion date. Versetta Stone offers a complete exterior solution, meaning that Boral manufactures all of the wall’s components. If you ever need to use the warranty, you only need to go through the claims process with one manufacturer. In other words, there is one neck to strangle if anything goes wrong.